We live in an age where even the most casual internet users find themselves typing information into web forms on a regular basis. In many cases, these forms ask for similar information, such as your name and mailing address. Whether shopping online, subscribing to a newsletter, or taking part in any number of activities where your personal details are required, this repetitiveness can become a hassle. This holds especially true if you aren't a very fast typist or are browsing on a device with a small on-screen keyboard. Keeping this in mind, most web browsers can store this data and prepopulate the appropriate form fields when information is requested. Commonly known as autocomplete or autofill, this feature gives your tired fingers a reprieve and speeds up the form completion process considerably. Each application handles autocomplete/autofill differently. The step-by-step tutorials below show you how to utilize this functionality in the web browser of your choice. Click on the main menu button, represented by three vertically-aligned dots and located in the upper right-hand corner of your browser window. When the drop-down menu appears, select Settings. You can also type the following text into Chrome's address bar in place of clicking on this menu item: chrome://settings. Chrome's Settings interface should now be displayed in the active tab. Scroll to the bottom of the page and click on the Show advanced settings link. Scroll down again until you locate the Passwords and forms section. The first option found in this section, accompanied by a checkbox, is labeled Enable Autofill to fill out web forms in a single click. Checked and therefore active by default, this setting controls whether or not Autofill functionality is enabled in the browser. To toggle Autofill off and on, add or remove a check mark by clicking on it once. Click on the Manage Autofill settings link, located to the right of the above option. You can also type the following text into Chrome's address bar to access this interface: chrome://settings/autofill. The Autofill settings dialog should now be visible, overlaying your main browser window and containing two sections. The first, labeled Addresses, lists each set of address-related data currently being stored by Chrome for Autofill purposes. The majority, if not all, of this data was saved during previous browsing sessions. To view or edit the contents of an individual address profile, first select it by hovering your mouse cursor over the respective row or clicking on it once. Next, click on the Edit button that appears on the right-hand side. A pop-up window labeled Edit address should now appear, containing the following editable fields: Name, Organization, Street address, City, State, Zip code, Country/Region, Phone, and Email. Once you are satisfied with the information shown, click on the OK button to return to the previous screen. To manually add a new name, address and other related information for Chrome to utilize, click on the Add new street address button and fill in the fields provided. Click on the OK button to store this data or Cancel to revert your changes. The second section, labeled Credit Cards, functions similarly to Addresses. Here you have the ability to add, edit or remove credit card details that are used by Chrome's Autofill. To delete an address or credit card number, hover your mouse cursor over it and click on the 'x' that appears on the far right-hand side. Return to the Passwords and forms section of Chrome's Settings interface by closing the Autofill settings window. The second option in this section, also accompanied by a checkbox and enabled by default, is labeled Offer to save your web passwords. When checked, Chrome will prompt you whenever you submit a password in a web form. To activate or disable this feature at any time, add or remove the check mark by clicking on it once. Click on the Manage passwords link, located directly to the right of the above setting. The Passwords dialog should now be displayed, overlaying your main browser window. Towards the top of this window is an option labeled Auto Sign-in, accompanied by a checkbox and enabled by default. When checked, this setting instructs Chrome to automatically log in to a website whenever your username and password had been previously stored. To disable this feature and make Chrome ask for your permission before signing into a site, remove the check mark by clicking on it once. Below this setting is a list of all stored names and passwords accessible by the Autofill feature, each one accompanied by its respective website address. For security purposes, the actual passwords are not shown by default. To view a password, select its corresponding row by clicking on it once. Next, click on the Show button that appears. You may be required to enter your operating system password at this point. To delete a saved password, first, select it and then click on the 'x' found to the right of the Show button. To access those name/password combinations that are stored in the cloud, visit passwords.google.com and enter your Google credentials when prompted. Tap the main menu button, located in the upper right-hand corner and represented by three horizontally-aligned dots. Chrome's Settings interface should now be visible. Select the Autofill forms option, located in the Basics section. Directly below this button is the Addresses section, containing all street address data profiles currently available to Chrome's Autofill feature. To view or edit a particular address, tap on its respective row once. The Edit address interface should now be displayed, allowing you to modify one or more of the following fields: Country/Region, Name, Organization, Street address, City, State, Zip code, Phone, and Email. Once you are satisfied with your changes, select the DONE button to return to the previous screen. To dismiss any changes made, select CANCEL. To add a new address, select the plus (+) icon located on the far right-hand side of the section header. Enter the desired details in the fields provided on the Add address screen and select DONE when complete. Located under the Addresses section is Credit cards, which behaves in almost identical fashion in terms of adding, editing or removing credit card details. To delete an individual saved address or credit card number as well as any additional information coupled with it, first select its respective row to return to the Edit screen. Next, tap on the trash can icon located in the upper right-hand corner. Firefox's Privacy preferences should now be visible in the active tab. Found in the History section is an option labeled Firefox will:, accompanied by a drop-down menu. Click on this menu and select Use custom settings for history. Several new options will now be displayed, each with its own checkbox. To stop Firefox from saving most information that you enter into web forms, remove the check mark next to the option labeled Remember search and form history by clicking on it once. This will also disable search history from being stored. To delete any data previously stored by the Auto Form Fill feature, first return to the Privacy preferences page. In the Firefox will: drop-down menu, select Remember history, if it is not already selected. Click on the clear your recent history link, located just below the drop-down menu. The Clear Recent History dialog should now open, overlaying your main browser window. At the top is an option labeled Time range to clear, where you can choose to delete data from a specific time period. You can also remove all data by selecting the Everything option from the drop-down menu. Located below this is the Details section, containing several options accompanied by checkboxes. Each data component that has a check mark next to it will be deleted, while those without one will remain untouched. To clear saved form data from the specified interval, place a check mark next to Form & Search History if one does not already exist by clicking on the box once. Warning: Before moving forward you should ensure that only the data components that you wish to delete are selected. Click on the Clear Now button, located at the bottom of the dialog, to complete the process. In addition to form-related data such as addresses and phone numbers, Firefox also provides the ability to save and later prepopulate usernames and passwords for websites that require authentication. To access the settings related to this functionality, first type the following text into Firefox's address bar and hit the Enter or Return key: about:preferences#security. Firefox's Security preferences should now be shown in the active tab. Found towards the bottom of this page is the Logins section. The first in this section, accompanied by a checkbox and enabled by default, is labeled Remember logins for sites. When active, this setting instructs Firefox to store login credentials for autofill purposes. To disable this feature, remove its check mark by clicking on it once. Also found in this section is the Exceptions button, which opens a blacklist of sites where usernames and passwords will not be stored even when the feature is enabled. These exceptions are created whenever Firefox prompts you to store a password and you choose the option labeled Never for this site. Exceptions can be removed from the list via the Remove or Remove All buttons. 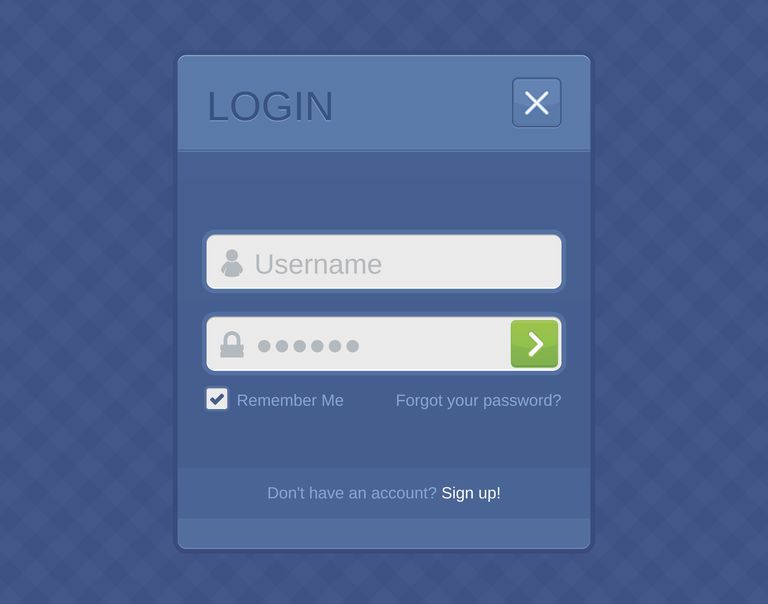 The most important button in this section, for the purposes of this tutorial, is Saved Logins. Click on this button. The Saved Logins pop-up window should now be visible, listing all sets of credentials that have been previously stored by Firefox. Details shown with each set include the corresponding URL, the username, the date and time it was last used, as well as the date and time it was most recently modified. For security purposes, the passwords themselves are not shown by default. To view your saved passwords in clear text, click on the Show Passwords button. A confirmation message will appear, requiring you to choose Yes to continue with the unveiling. A new column will instantly be added, displaying each password. Click on Hide Passwords to remove this column from view. Values found in both the Username and Password columns are editable, done so by double-clicking on the respective field and entering the new text. To delete an individual set of credentials, select it by clicking on it once. Next, click on the Remove button. To delete all saved usernames and passwords, click on the Remove All button. Click on the main menu button, located in the upper right-hand corner and represented by three horizontally-aligned dots. When the drop-down menu appears, select the Settings option. Edge's Settings interface should now be displayed on the right-hand side of the screen, overlaying your main browser window. Scroll to the bottom and click on the View advanced settings button. Scroll down again until you locate the Privacy and services section. Each time you attempt to sign in to a website using a username and password, Edge will prompt you whether or not you'd like to save those credentials for future use. The first option in this section, enabled by default and labeled Offer to save passwords, controls whether or not this functionality is available. To disable it at any time, select the blue and white button by clicking on it once. It should change colors to black and white and be accompanied by the word Off. Click on the Manage my saved passwords link, located directly below this option. The Manage Passwords interface should now be visible, listing each set of usernames and passwords currently stored by the Edge browser. To modify a username and password, first, click on it to open the edit screen. Once satisfied with your changes, select the Save button to commit them and return to the previous screen. To delete a set of login credentials for a particular site, first hover your mouse cursor over its name. Next, click on the 'X' button that appears on the far right-hand side of the individual row. The second option found in the Privacy and services section, also enabled by default, is Save form entries. The on/off button accompanying this setting dictates whether or not data entered into web forms such as your name and address is stored by Edge for future autofill purposes. Edge also provides the ability to delete these form entries, as well as your saved passwords, via its Clear browsing data interface. To access this feature, first, return to the main Settings window. Next, click on the Choose what to clear button; located under the Clear browsing data heading. A list of browsing data components should now be listed, each one accompanied by a checkbox. The options Form data and Passwords control whether or not the aforementioned autofill data is deleted. To clear one or both of these items, place check marks in their respective boxes by clicking on them once. Next, select the Clear button to complete the process. Before doing so, however, be aware that any other items that are checked will also be deleted. Click on Safari in your browser menu, located at the top of the screen. When the drop-down menu appears, select the Preferences option. You can also use the following keyboard shortcut in place of this menu item: COMMAND + COMMA (,). Safari's Preferences interface should now be displayed, overlaying your main browser window. Click on the Autofill icon. The following four options are offered here, each accompanied by a checkbox and Edit button. When a check mark appears next to a category type, that information will be used by Safari when auto-populating web forms. To add/remove a check mark, simply click on it once. To add, view or modify information to one of the above categories, first click on the Edit button. Choosing to edit the information from your Contacts card opens the Contacts app. Meanwhile, editing names and passwords loads the Passwords preferences interface where you can view, modify or delete user credentials for individual sites. Clicking on the Edit button for credit cards or other form data causes a slide-out panel to appear, displaying relevant information that has been saved for Autofill purposes. Tap on the Settings icon, located on your device's Home Screen. The iOS Settings interface should now be visible. Scroll down and select the option labeled Safari. Safari's settings will now appear on your screen. In the General section, select Passwords. Enter your passcode or your Touch ID, if prompted. A list of user credentials currently stored by Safari for Autofill purposes should now be displayed. To edit a username and/or password associated with a particular site, select its respective row. Tap on the Edit button, located in the upper right-hand corner of the screen. At this point, you will have the ability to modify either value. Once complete, select Done. To remove a set of login credentials from your device, first, swipe left on its respective row. Next, select the Delete button that appears to the right. To manually add a new username and password for a site, tap on the Add Password button and fill in the fields provided accordingly. Return to Safari's main settings screen and select the Autofill option, also found in the General section. Safari's AutoFill settings should now be displayed. The first section dictates whether or not personal information from your device's Contacts app is used to prepopulate web forms. To enable this feature, tap on the button accompanying the Use Contact Info option until it turns green. Next, select the My Info option and choose the specific contact profile that you wish to use. The next section, labeled Name and Passwords, determines whether or not Safari utilizes the aforementioned login credentials for Autofill purposes. If the accompanying button is green, usernames and passwords will be prepopulated where applicable. If the button is white, this functionality is disabled. At the bottom of the Autofill settings screen is an option labeled Credit Cards, also accompanied by an on/off button. When enabled, Safari will have the ability to automatically populate credit card details where applicable. To view, modify or add to the credit card information currently stored in Safari, first, select the Saved Credit Cards option. Type in your passcode or utilize Touch ID to access these details, if prompted. A list of stored credit cards should now be displayed. Select an individual card to edit cardholder name, number, or expiration date. To add a new card, tap on the Add Credit Card button and fill in the required form fields.